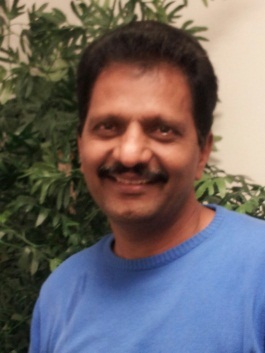 Home Our Faculty & Staff Faculty Ashok Kumar, Ph.D. The overall goal of my research is to understand the mechanisms contributing to age-associated cognitive impairment and develop therapeutic innervations to rescue or reverse cognitive deficit associated with senescence. Broadly, the overall goal of my research is to understand the relationship of brain aging and age-associated cognitive impairment and neurodegenerative diseases of aging. Towards this goal, my current research program is investigating how age-related augmented oxidative stress contribute to decrease in NMDA receptor function and its influence on hippocampal synaptic function and impaired cognitive performance. In addition to delineating role of NMDA receptor, my research also investigates influence of central and systemic inflammation on hippocampal-dependent spatial memory performance and synaptic transmission over the course of aging. We just completed an exciting study associated with DNS methylation during aging and its relationship with executive function, and results are submitted for the publication.